“Notties!” – A famous landmark in the equally famous region for which it is named. 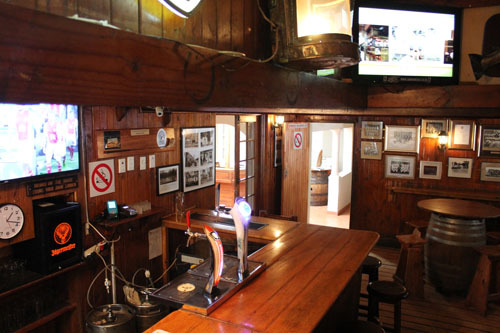 The Nottingham Road Hotel and indeed the legendary and ever-popular Notties Pub (one of the oldest pubs in KwaZulu-Natal ) are institutions in their own rights! Both have been welcoming guests from near or far, for years. 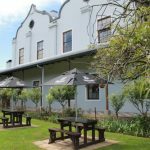 Situated in the heart of the picturesque Nottingham Road Village, on the R103 leading from the N3, this 19th Century gem was originally established as a trading post between Pietermaritzburg and the interior. The Hotel offers a gateway to the Midlands myriad of activities and adventures and the area’s unrivalled beauty and arts & crafts experiences. It is perfectly located to suit a variety of guests, from weekend warriors or sport spectators, to folks looking to celebrate anything from “milestone” birthdays to pre-wedding dinners, romantic weekends away to simply a group of friends looking for a fun “time out”. Its unique charm and ageless beauty beckons visitors to come experience these historic grounds. Many simply want to be part of the Notties tradition, experiencing the vibrant atmosphere and creating their own history in the well-known pub on a Friday night! 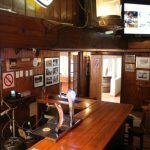 Fine fare and friendly locals make a night at notties pub most memorable. The vast gardens offer the perfect opportunity to walk off a delectable lunch enjoyed in the a la carte restaurant. 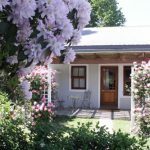 Notties is located 2hrs from Durban’s King Shaka Airport, within easy reach of Sani Pass and Lesotho and 460km from Johannesburg. Offering modern, comfortable accommodation in 14 rooms, whilst maintaining many aspects of a bygone era, a night or more at the famous grand dame of KZN, will leave you with fond memories and looking forward to your return.